I liked Broadmore Senior Living at Hagerstown a lot. It was very nice, clean, and professional. I enjoyed the tour. The staff was very helpful and informative. They called me a few times to check on my mother. The dining area was nice and clean. They had an exercise room, therapy, and a laundry facility to do your own laundry or they would assist you if needed. The best way to get to know a community is by scheduling a tour. See the facilities, meet the staff and residents, and get a feel first hand what it's like to live at Broadmore Senior Living at Hagerstown Assisted Living. Nestled in a cozy countryside setting, the Broadmore Senior Living at Hagerstown, MD provides high quality assisted living, memory care and respite care. We get to know our residents, understand their challenges and strengths and work with them to ensure their senior years are fulfilling. 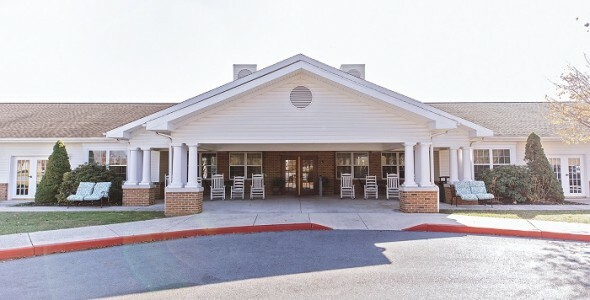 Broadmore Senior Living at Hagerstown is owned and operated by Senior Services of America. Founded in 2000 to provide the best in senior care, Senior Services of America specializes in both management and operation of senior housing communities. Our communities offer an array of care options ranging from independent living to assisted living and memory care. Many of our communities also provide the option of short-term respite care as well. Broadmore Senior Living at Hagerstown features welcoming indoor and outdoor common areas for friends and families to congregate, enjoy music, TV or partake in activities. Private apartments include both studios and one-bedroom units where residents are free to decorate to their heart's content. Our chef prepares thee delicious and nutritious meals per day in our restaurant-style dining room. Snacks and beverages are also available throughout the day as needed. Because we believe that a well-rounded activities program is essential to promoting a healthy lifestyle as we age, our community has a full-time life enrichment coordinator. Our wide variety of activities ranges from trivia, to cooking club or painting in our arts and crafts room. Residents also enjoy regular outings in our van, such as scenic drives, or trips to theater performances, street fairs and other local festivals. Our compassionate and friendly staff are available around-the-clock to proactively assist and respond to the needs of each resident. From dressing, bathing and hygiene help to ambulation support to medication management and vital signs monitoring, you can depend on our caregivers and nurses to be there for you or your loved one. Whether your loved one is just beginning to face the challenges associated with dementia and memory loss or entering the later stages, our memory care services can help. We know that Alzheimer's and dementia are progressive conditions and understand how important the highest quality of care is to your family and your loved one, so our nurses are available 24 hours a day and seven days a week. At Broadmore Senior Living at Hagerstown, we welcome you to visit our caring community with open arms.